Domains purchased through Godaddy are fully supported on Black Nova Designs servers. To get a Godaddy domain working on your Black Nova Designs server, the nameservers will need to be updated to point the domain to our DNS server, and the domain must be added to your cPanel, if it is not your primary domain. 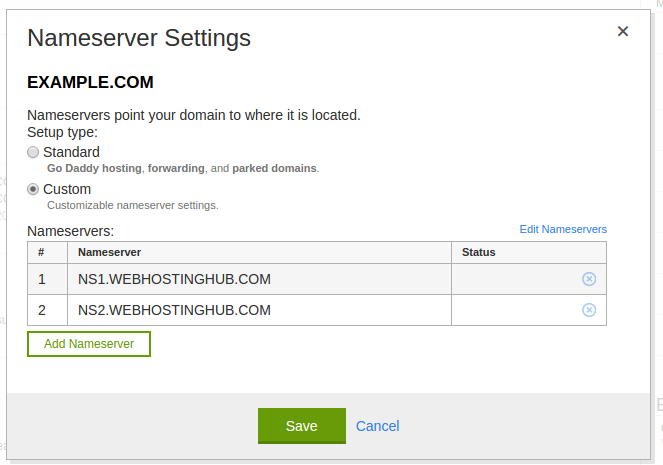 Below are the steps for setting up a domain purchased at Godaddy to point to our nameservers. Log into your account with Godaddy. Next to Domains, click the green Launch button. You will see your domains listed, select the domain you want to update the nameservers for. Next to Nameservers click the Manage link. 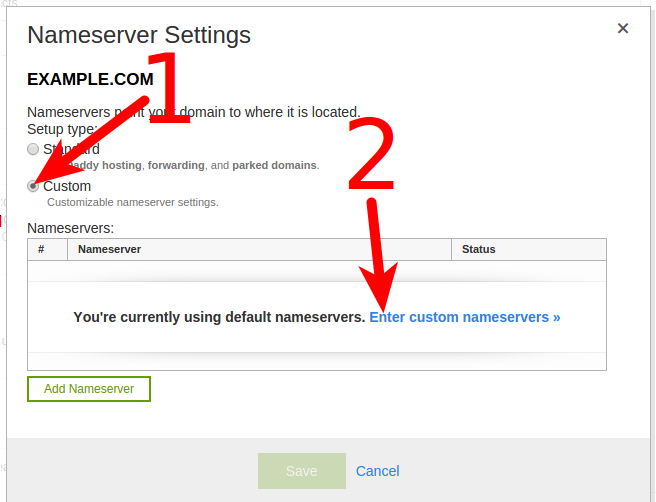 On the Nameserver Settings page, click Custom, then click Enter custom nameservers. The Add Nameserver menu will come up. Fill in both Black Nova Designs nameservers, then click the OK button. You will then see the nameservers listed, click the Save button. You are finished when you see a message stating "Your request has been submitted. Changes may take a few moments to take effect." Congratulations, now you know how to update your Nameservers with GoDaddy to point to your Black Nova Designs Hosting account!